In September 2018 the anxiously-awaited BlueStacks 4.0 was released, with its main new feature being the fact that it could be used with Android 7 Nougat, in addition to presenting an updated interface and more compatibility. Four months later, and we have the version 4.40, which continues down the same path on its mission to reduce memory and CPU usage of the virtualization, especially when using various apps simultaneously. Plus, they’ve added a so-called Media Manager, that lets you easily transfer files between the virtualized device and the host computer. According to the official release notes for this update, memory usage while playing has been reduced by as much as 20%, using the GPU to reduce the load on the CPU. One of the main problems with virtualization tools like this is that they require muscle from the processor so that it doesn’t affect performance, wasting the capabilities of your graphics card. We’ve decided to verify these latest claims ourselves, running the latest update of Bluestacks and comparing the results with the previous versions. 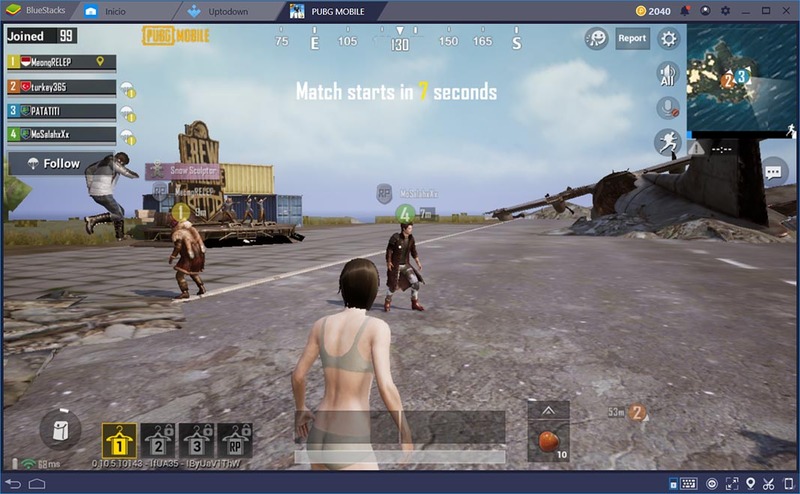 We tried PUBG Mobile on Bluestacks 4.0 and analyzing the performance, we found an average CPU usage of around 35% with spikes of up to 55% when there’s a bigger load, not passing 5% of GPU. With the version 4.40 and in similar conditions, the results are clear to see from the Windows task manager: the CPU now has a usage of about 20% (15% less than in the previous version), while the GPU reaches 20%, balancing the system performance and freeing up resources in order to, among other things, use the multi-instance system. Plus, the memory used while running is now combined as a single process and is also considerably less. The so-called Media Manager is found in the More apps section on the dock. It’s a tool that lets you intuitively transfer all types of files between the emulated device and the PC. 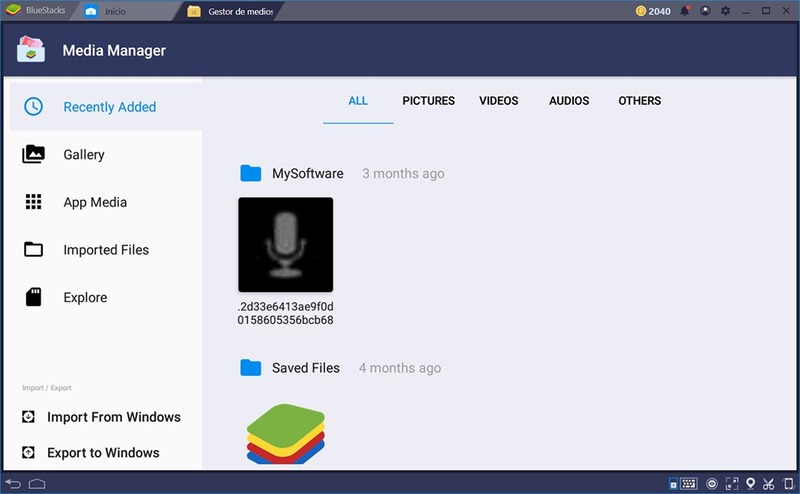 To do this, it uses a file explorer shared between both devices, letting you import and export photos, videos, and other types of files to be used on both systems. Control over frame rates for multiple instances to improve overall performance. Audio improvements resolve several audio and microphone related issues experienced by users of Free Fire, Sgame, Sony Audio Recorder, WhatsApp, Viber, and other apps. Install more or larger apps. Browse the web faster using Chrome as the default Android browser.